One of the beauties of traveling to Athens is a captivating cruise to the magical islands of the Saronic Gulf. Platinum Cruises offers you the beauty of an Athens day cruise to three islands, Hydra, Poros and Aegina with the promise of a world of pleasures on board. Imagine a day filled with golden moments on a day cruise from Athens, island hopping from Hydra, Poros and Aegina, aboard Platinum Cruises, spacious, 3-deck cruise ships with every comfort and convenience to meet your expectations. Our live orchestra welcomes you on board with traditional Greek music and international favourites. You’ll enjoy an optional breakfast on deck and delight in our well-balanced menu with Greek local products, including fresh fruit, yogurt and local honey. Lounging on our decks is an exceptional experience surrounded by the legendary blue waters of the Saronic Gulf. You’ll appreciate many activities on board, such as listening to music while sipping your special cocktail, dancing and the fun of taking a Greek dance lesson. Our lunch buffet offers you an exceptional culinary experience featuring a variety of authentic Greek and Mediterranean cuisine accompanied by local wines (optional). You can shop in our Tax Free store with a wide selection of prestigious Greek and international brands. If a day trip from Athens to the Greek islands is top on your wishlist, Platinum Cruises 3 island tour is the perfect match for your cruising enjoyment. Our special interest tours led by multilingual guides introduce you to the history and culture of Hydra and Aegina, with all the fun to suit your mood. 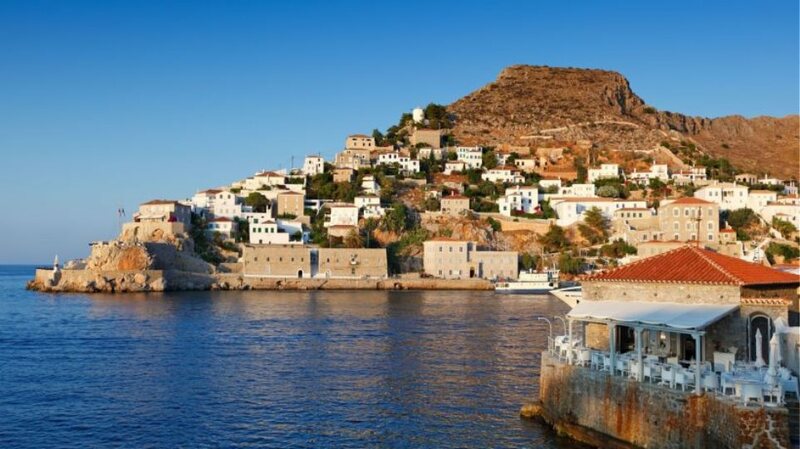 We welcome you to join us for a unique journey of the senses on Platinum Cruises one day cruise to three Saronic Islands for a full day of fun, culture and culinary discovery.